We’re dedicated to supporting community partners who work tirelessly to make our city a better place to live. Holland Bloorview Kids Rehabilitation Hospital is one of those organizations. Holland Bloorview is Canada’s largest children’s rehabilitation teaching hospital, fully affiliated with the University of Toronto. The hospital pioneers treatments, technologies, therapies and real-world programs that give children with disabilities the tools to participate fully in life. 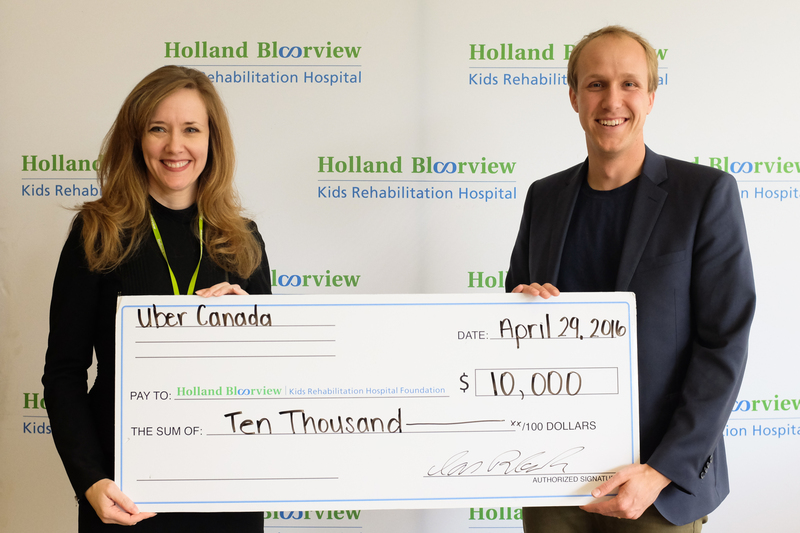 In support of Holland Bloorview, $1 from every uberWAV and uberASSIST ride in May will be donated to Holland Bloorview Kids Rehabilitation Hospital. We’re also contributing a $10,000 donation directly to the Hospital. We’re excited to support Holland Bloorview’s great work and hope to help create a world of possibilities for kids with disabilities.